I started working on Caliwood a while ago because I saw a lot of player would like to have the original Caliwood back. Why did we removed WestOaks and San Pavel? That is a good question. We guess we did it because of performance issues back in the days. 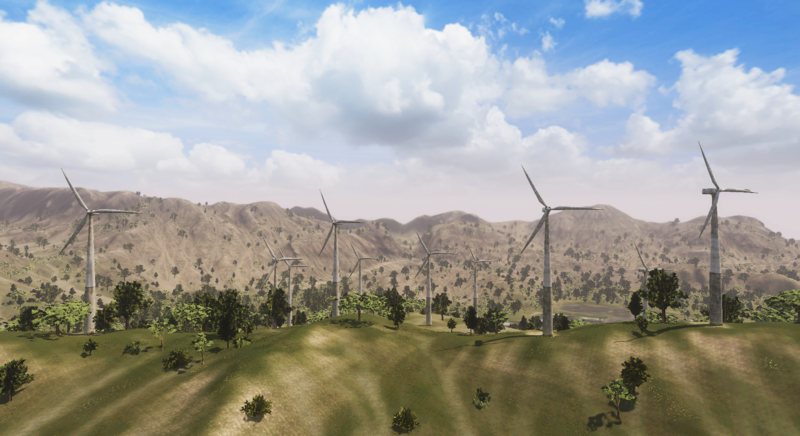 But since we optimized our game and objects pretty much, we decided to try to bring it back. This won't be the main priority of like next patch, it's something what I will do on the "second screen". Added more details and objects to the ocean like boats etc. Here are also some pictures where you can see West Oaks and the new lighting. I hope you guys are hyped like me. I really liked to play on this map on I:SS. What about you? Let me know in the comments below your opinions! this map is top! I remember in 2016 when they had WestOaks and San Pavel and Area69 was top! this is going to be very good! but I insist again Caliwood is a big map where you can put more things in the future, I will insist again on my idea. A giant naval base in the caliwood sea. 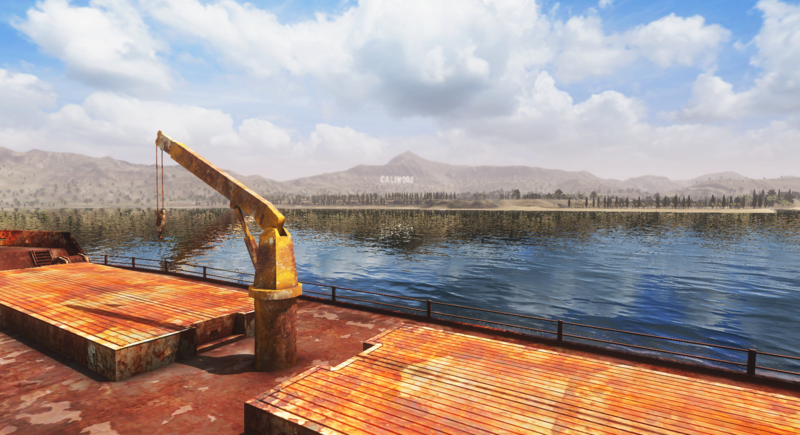 where players could play on top and inside the locks .. runners, could have respaw at the naval base and also have boat, speedboat to go to it. could also have a cave, a mine off the caliwood rails this would be very interesting. I like your idea with the big ship. About the tunnel, we are not able to build under the terrain sadly because the engine does not support that. I will first roll back that map to the original one and then we will see for adding new places. This is VERY true. 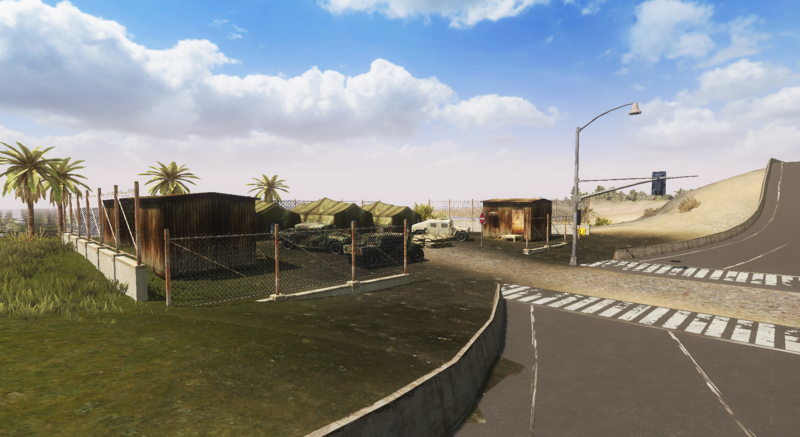 Not only those two other towns were great, but the map, when first released by the old developer team (of I:SS), was still a work in progress. I think with time, it would be interesting to add more areas there. Is it gonna come to survival as well? This will only fragment more to the few players that there are, the caliwwod map was very good but not for the number of current players. Pretty sure yes. I don't see why not? Here are also some pictures where you can see WestOaks and the new lighting. I hope you guys are hyped like me. I really liked to play on this map on I:SS. What about you? Let me know in the comments bellow your opinions! Nice work man very nice work, I look forward to see the optimizations. This is why I give the thanks that I do every time!!!! Hehe I don't know actually. 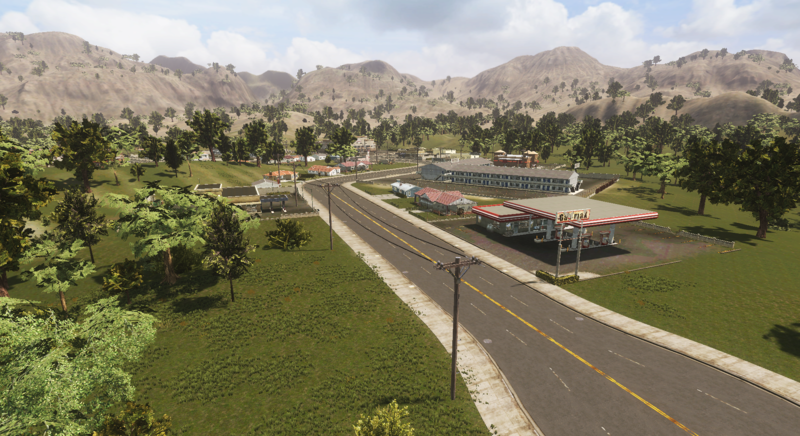 Damn, i would really love to see West Oaks/San Pavel in survival.